These "baubles" are used to put in a bowl or any decorative piece and are just decorative accents for Christmas. Green, blue, gold & Hot pink (maybe red) colors. 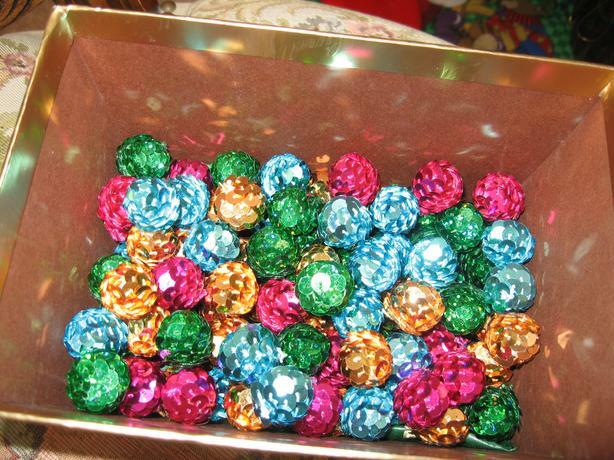 Put them in a bowl & use as a centrepiece, or place anywhere you want to add sparkle and color.